It’s crochet time! 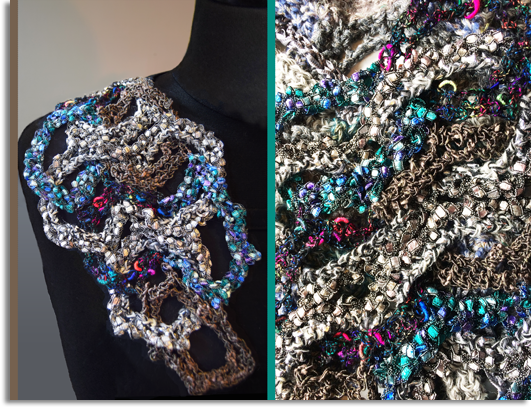 What started as a ‘doodle’ (trying to combine 2 separate layers of crocheted motifs) has suddenly become more serious and I can see lots of potential ahead. But perhaps I need to use a more ‘sensible’ yarn…?